The remaining 253 Canadian stores will be shut down and the company liquidated. Sure, Blockbuster was a slow moving giant. And yes, we all saw it coming. A company that's unable to adapt to a quickly moving market is bound to go down in flames. Still, hundreds, even thousands of employees are losing their jobs and we at High-Def Digest are of the opinion that this is a bad thing. 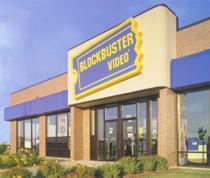 253 total stores will be shut down and liquidated, finally ending Blockbuster's presence in Canada. Offers for sale were considered, but a satisfactory agreement was unable to be reached. Aside from the existing problems that were plaguing Blockbuster, Dish Network filed papers that would stop Blockbuster Canada from using the Blockbuster name. Not only is that a big blow for the company, but it negatively impacts potential sales which would, in part, be buying brand recognition.